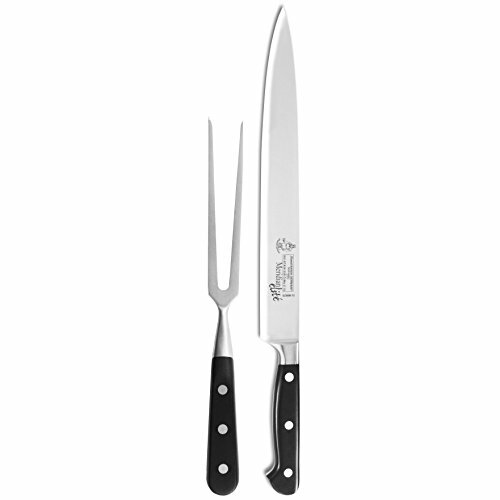 The Messermeister Carving Set consists of an 10-inch Slicing Knife (E/3688-10) and a 7-inch Straight Carving Fork (8012-7). View More In Carving Knives. If you have any questions about this product by Messermeister, contact us by completing and submitting the form below. If you are looking for a specif part number, please include it with your message. © 2019 - sarastage.net. All Rights Reserved.